Nava Bharathi Educational Society has started the college of Education in the year 1984. The campus of the college is spread over 3 acres of land. The College is set up with high ambition in the educational field. The institution is meeting high academic standard and systematic work emphasing quality and creativity. The College has good infrastructure with well ventilated, spacious lecture Halls, Library and Laboratory. It has enough accommodation for the Principals room, staff room and visitor's room. There is extensive play area, spread over one and half acre for sports, games and other activities. The staff of the College is highly qualified, experienced, dedicated and committed to the field of Education. Every year the institution is producing 98% results which speak volumes about dedication and commitment of the management and the staff. The College is conducting Debates, Seminars and Workshops where opportunities are given to all the students and encourage them to take part in these activities. The staff will take part in workshops and seminars conducted by the university. The College strictly follows the Almanac given by the Osmania University. The College strictly adhere to the rules and regulations issued by the university and the Govt. for the systematic plan of work at beginning of the academic year. Enables the completion of syllabus on time. 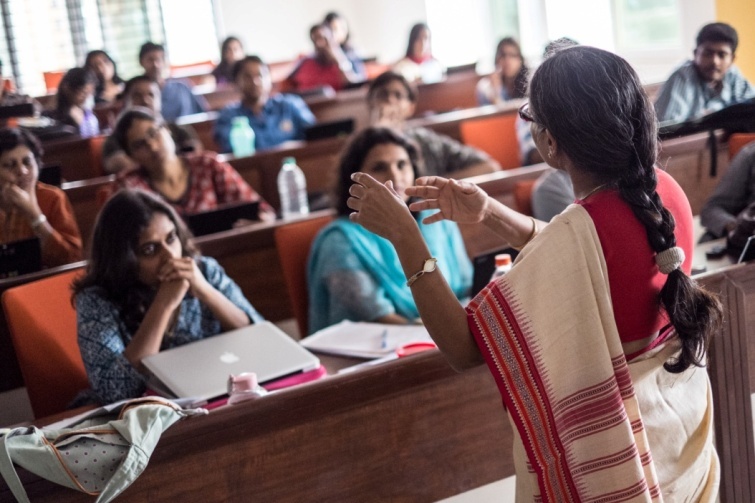 Faculty members take tutorial classes for the academically backward students. We render our services to the community and conduct blood donation camps frequently. The management is planning to construct one more floor on the existing block to provide more amenities to the students. The management is committed to make this institution a Center of Excellence.